Currently we only provide FREE delivery within the South Florida area. We can deliver to Los Angeles, Inland Empire, San Diego and other nearby areas for a custom delivery charge -please call us for a quote. We accept Visa, Master Card, American Express and Discover. 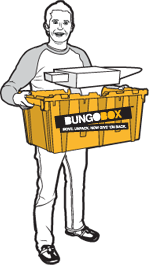 Full payment is required prior to delivery of your BungoBoxes.